Selena Erickson was 4-for-4 with a double, four runs and six RBIs, including a grand slam in the bottom of the sixth inning, to propel Del Sol’s softball team to an 11-7 home win over Tech on Thursday. Winning pitcher Jazmine Rivera supplied two hits for Del Sol. Noa Bowie went 3-for-4, and Nicki Zuniga doubled twice with four RBIs for the Dragons. Victoria Keane finished 3-for-3, and teammates Emmily Wilson, Melissa Fuller and Gizele Cascos each had two hits to lead the Roadrunners. 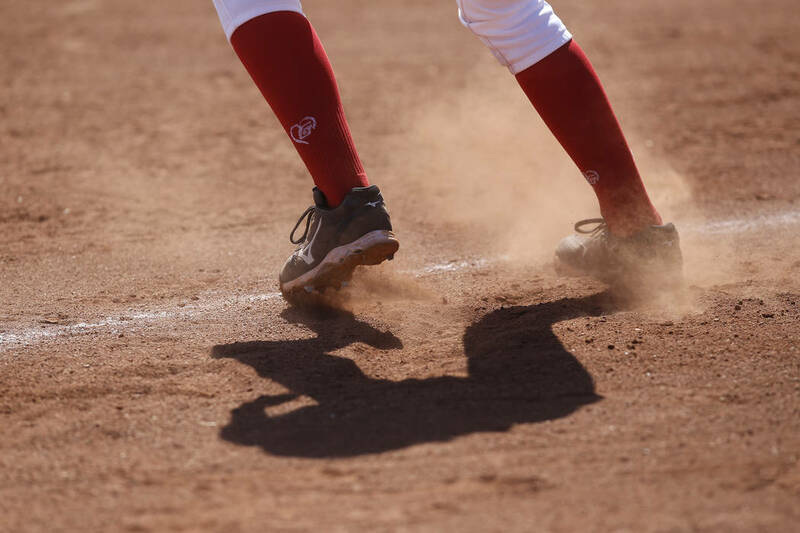 Palo Verde 13, Centennial 8 — At Centennial, Jessica Nimmo and Ally Snelling each doubled, hit a home run and drove in three runs to lead the Panthers past the Bulldogs. Makall Whetten doubled, and Cara Beatty tripled for Palo Verde, which scored all of its runs in final three innings. Taylor Askland picked up the win after pitching 3⅔ innings in relief of Makena Martin. Skyler Ball, Seanna Simpson and Jaden Tate each doubled and drove in a run for the Bulldogs. Makenzie Ball went 2-for-4 with two RBIs for Centennial. Boulder City 9, Chaparral 0 — At Boulder City, Bailey Bennett-Jordan spun a one-hit shutout with 10 strikeouts as the Eagles took down the Cowboys. Lily Osman hit a home run and had four RBIs for the Eagles, and Jerra Hinson was 4-for-4 with a double and three runs scored. Boulder City’s Summer Coyle was 2-for-3 with a run and an RBI. Arbor View 8, Faith Lutheran 4 — At Faith Lutheran, Taylor Thomas and Adriana Thomason each homered and doubled to power the Aggies by the Crusaders. Thomas finished with three RBIs, and teammates Hannah Hickstein and Taylor Beaman both doubled. Grace Hornsby had a double, two RBIs and two runs for Faith Lutheran. Cimarron-Memorial 9, Legacy 4 — At Legacy, Tiarra Del Rosario went 4-for-5 with four runs out of the leadoff spot as the Spartans took down the Longhorns. Mya’Leah Bathea tripled and had two RBIs for the Spartans, and Diona Whitely doubled and knocked in three. Cimarron’s Nikki LaBounty pitched 6⅔ innings and gave up four unearned runs. Green Valley 11, Eldorado 1 — At Green Valley, Brooke Haney went 4-for-4 with two triples, a double and four RBIs to lift the Gators over the Sundevils in five innings. Olivia McClain homered and had two RBIs for Green Valley, and Alexa Blazek had four RBIs. Coronado 16, Canyon Springs 3 — At Canyon Springs, Veronica Jarchow was 3-for-3 with a double, RBI and three runs scored as the Cougars routed the Pioneers in three innings. Erica Hardy was 2-for-2 with a triple and an RBI for the Cougars, and Dylan Underwood and Jillian James each had a double. MiAngel Coleman doubled for the Pioneers. Silverado 22, Valley 3 — At Valley, Mary Dungey had a pair of solo home runs and three runs scored as the Skyhawks blew by the Vikings in four innings. Megan Johnson had a home run, double, three runs and three RBIs, and Dalyse Whiteside went 3-for-4 with a double, three RBIs and three runs for Silverado. Silverado’s Alezandria Guariglia was 2-for-4 with a double and three runs. Moapa Valley 20, Virgin Valley 9 — At Mesquite, Sierra Harding had four RBIs as the Pirates took down the Bulldogs.